"Microsoft PowerPoint Template and Background with spa theme photo collage composed of different images"
"Microsoft PowerPoint Template and Background with close up view of spa theme objects on natural background"
"Microsoft PowerPoint Template and Background with spa theme collage"
"Microsoft PowerPoint Template and Background with a beautiful orchid towels aromatic candles and bamboo plant"
"Microsoft PowerPoint Template and Background with spa products with stones towels flasks and oil"
"Microsoft PowerPoint Template and Background with spa girl's face"
"Microsoft PowerPoint Template and Background with elegant spa items in a wooden spa setting"
"Microsoft PowerPoint Template and Background with spa still life with candles incense sticks white towelspebbles"
"Microsoft PowerPoint Template and Background with a clear glass bowl of water with floating pink rose petals and mulberry"
"Microsoft PowerPoint Template and Background with clear fresh image of young beautiful blond woman with rose petals"
"Microsoft PowerPoint Template and Background with spa text in a wooden texture with leaves"
Presenting this set of slides with name - Spa And Wellness Representation Using Hand Holding Massage Material. This is a one stage process. The stages in this process are Spa And Wellness, Spa And Health, Spa And Treatment. "Microsoft PowerPoint Template and Background with collage made with beautiful tropical resort"
"Microsoft PowerPoint Template and Background with set for SPA with aromatic components and candles"
Close-up of woman green eye. Pink flower on background. 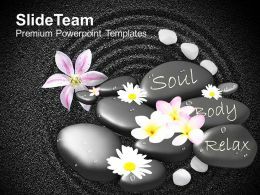 "Microsoft PowerPoint Template and Background with SPA and beautiful stones with bamboo for a massage"
"Microsoft PowerPoint Template and Background with spa zen and wellness"
"Microsoft PowerPoint Template and Background with spa brochure"
"Microsoft PowerPoint Template and Background with spa procedures"
Presenting this set of slides with name - Spa And Wellness Representation By Silhouettes And Three Stones Placed. This is a one stage process. The stages in this process are Spa And Wellness, Spa And Health, Spa And Treatment. 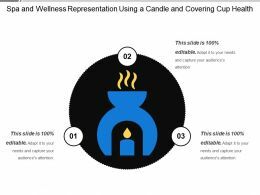 Presenting this set of slides with name - Spa And Wellness Representation Using Lotus Health Massage. This is a one stage process. The stages in this process are Spa And Wellness, Spa And Health, Spa And Treatment. "Microsoft PowerPoint Template and Background with spa beauty of a girl"
"Microsoft PowerPoint Template and Background with blue spa with candles on white background"
"Microsoft PowerPoint Template and Background with Spa salts lotion orchid and healing stones"
"Microsoft PowerPoint Template and Background with exotic flowers floating in the water spa setting"
"Microsoft PowerPoint Template and Background with spa treatment near the sea"
"Microsoft PowerPoint Template and Background with spa collage with orchids pedicure and aromatherapy"
"Microsoft PowerPoint Template and Background with spa soothe and wellness therapy with pebbles and candle"
"Microsoft PowerPoint Template and Background with green products for spa with jasmin flowers"
"Microsoft PowerPoint Template and Background with spa beauty exotic tropical flowers sea shells stones towels salt soap on green leaves"
"Microsoft PowerPoint Template and Background with spa still life and towel and plumeria flower on the tropical beach"
"Microsoft PowerPoint Template and Background with Beautiful blonde woman wrapped in towel receiving massage at a spa "
"Microsoft PowerPoint Template and Background with spa treatment with aromatic gerbera daisies healing stones olive oil soaps and herbal water"
"Microsoft PowerPoint Template and Background with a young beautiful woman relaxing in spa wellness with a flower"
"Microsoft PowerPoint Template and Background with spa or health farm setting white towel candles and bowl of floral scented water"
"Microsoft PowerPoint Template and Background with spa composition white towels green soap candle and conditioner in small bowl"
"Microsoft PowerPoint Template and Background with a beautiful young woman getting a facial at the spa"
"Microsoft PowerPoint Template and Background with beautiful pedicured feet and manicured hand with colorful spring flowers in a spa"
"Microsoft PowerPoint Template and Background with beautiful colorful zen like collage"
"Microsoft PowerPoint Template and Background with zen stones"
"Microsoft PowerPoint Template and Background with warm water is poured into feet"
"Microsoft PowerPoint Template and Background with flowers stones and scented candles"
"Microsoft PowerPoint Template and Background with a set of images on topic natural beauty"
"Microsoft PowerPoint Template and Background with happy lady relaxing in salon"
"Microsoft PowerPoint Template and Background with zen garden with harmony in black sand"
Presenting this set of slides with name - Spa And Wellness Representation Using A Candle And Covering Cup Health. This is a three stage process. The stages in this process are Spa And Wellness, Spa And Health, Spa And Treatment. 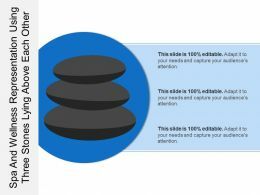 Presenting this set of slides with name - Spa And Wellness Representation Using Three Stones Lying Above Each Others. This is a three stage process. The stages in this process are Spa And Wellness, Spa And Health, Spa And Treatment. 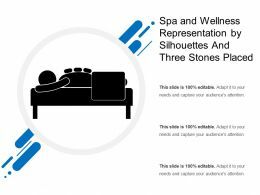 Presenting this set of slides with name - Spa And Wellness Representation Using Two Silhouettes Giving And Taking Massage. This is a two stage process. The stages in this process are Spa And Wellness, Spa And Health, Spa And Treatment. 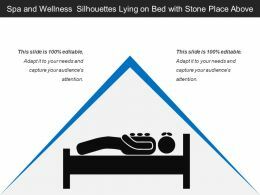 Presenting this set of slides with name - Spa And Wellness Silhouettes Lying On Bed With Stone Place Above. This is a one stage process. The stages in this process are Spa And Wellness, Spa And Health, Spa And Treatment. 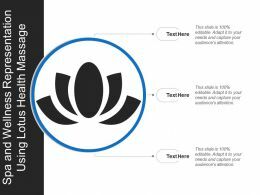 Presenting this set of slides with name - Spa And Wellness With Silhouettes Taking Steams Bath Health Beauty Salon. This is a one stage process. The stages in this process are Spa And Wellness, Spa And Health, Spa And Treatment. 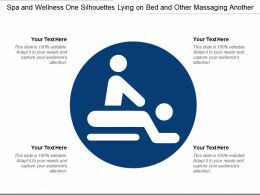 Presenting this set of slides with name - Spa And Wellness One Silhouettes Lying On Bed And Other Massaging Another. This is a one stage process. The stages in this process are Spa And Wellness, Spa And Health, Spa And Treatment. 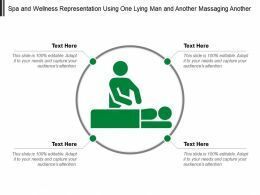 Presenting this set of slides with name - Spa And Wellness Representation Using One Lying Man And Another Massaging Another. This is a four stage process. The stages in this process are Spa And Wellness, Spa And Health, Spa And Treatment. "Microsoft PowerPoint Template and Background with beautiful lady with red flowers in spa"
"Microsoft PowerPoint Template and Background with gray flat stones over background of autumn leaves"
"Microsoft PowerPoint Template and Background with spa treatment and aromatherapy with oils flowers and herbs"
"Microsoft PowerPoint Template and Background with spa image of frangipani flowers candles and towels"
"Microsoft PowerPoint Template and Background with beautiful tulips and gerbera daisies and pedicured pampered feet"
"Microsoft PowerPoint Template and Background with towel candle and plants"
"Microsoft PowerPoint Template and Background with woman getting spa treatment with stone massage"
"Microsoft PowerPoint Template and Background with a face massage during a facial at a beauty spa with clipping path"
"Microsoft PowerPoint Template and Background with health club: man and women doing stretching and aerobics "
"Microsoft PowerPoint Template and Background with health club man and women doing stretching and aerobics"
Presenting five star hotel icon. This is a five star hotel icon. This is a stage process. The stages in this process are hotel icon, guest house icon, lodge icon. Presenting hotel building icon. This is a hotel building icon. This is a two stage process. The stages in this process are hotel icon, guest house icon, lodge icon. Presenting hotel icon clipart. This is a hotel icon clipart. This is a one stage process. The stages in this process are hotel icon, guest house icon, lodge icon. Presenting hotel icon illustration. This is a hotel icon illustration. This is a one stage process. The stages in this process are hotel icon, guest house icon, lodge icon. Presenting hotel icon vector. This is a hotel icon vector. This is a three stage process. The stages in this process are hotel icon, guest house icon, lodge icon. Presenting hotel room service icon. This is a hotel room service icon. This is a one stage process. The stages in this process are hotel icon, guest house icon, lodge icon. 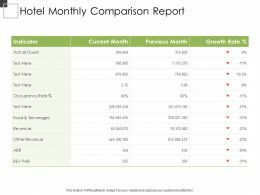 Presenting this set of slides with name - Hotel Monthly Comparison Report. This is a three stages process. The stages in this process are Monthly Comparison, Monthly Compare, 30 Days Comparison. Presenting hotel single icon vector illustration. This is a hotel single icon vector illustration. This is a one stage process. The stages in this process are hotel icon, guest house icon, lodge icon. "Microsoft PowerPoint Template and Background with two smiling girls do exercise in sports club"
Presenting this set of slides with name - Icon Of Women As Hotel Receptionist. This is a four stage process. The stages in this process are Person Icon, Silhouette, Man Icon, Woman Icon, Human Icon. Presenting this set of slides with name - Food Service In A Hotel Icon. This is a three stage process. The stages in this process are Food Service, Food Management, Food Delivery. "Microsoft PowerPoint Template and Background with fountains at the Bellagio hotel in Las Vegas at night"
Presenting hotel safety and security action plan with vault and icons. This is a hotel safety and security action plan with vault and icons. This is a eight stage process. The stages in this process are hotel safety and security, guest house safety, lodge safety. Presenting hotel safety and security emergency process with 5 boxes. 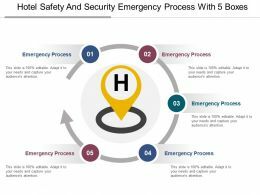 This is a hotel safety and security emergency process with 5 boxes. This is a five stage process. 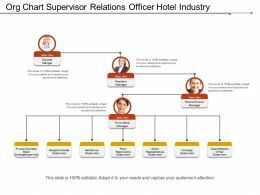 The stages in this process are hotel safety and security, guest house safety, lodge safety. Presenting hotel safety and security fire instructions with arrows and icon. This is a hotel safety and security fire instructions with arrows and icon. This is a eight stage process. The stages in this process are hotel safety and security, guest house safety, lodge safety. Presenting hotel safety and security guidelines with boxes and arrows. 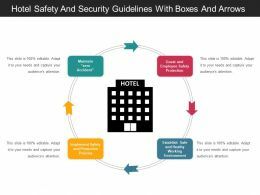 This is a hotel safety and security guidelines with boxes and arrows. This is a four stage process. The stages in this process are hotel safety and security, guest house safety, lodge safety. Presenting hotel safety and security procedures with converging arrows and boxes. 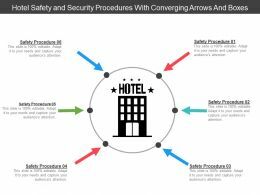 This is a hotel safety and security procedures with converging arrows and boxes. This is a six stage process. The stages in this process are hotel safety and security, guest house safety, lodge safety.